Liege is an architectural "bouquet" of most astonishing buildings and monuments. This wonderful city is also urban and compulsive with excellent places with tasty cuisine and the vibrant nightlife. 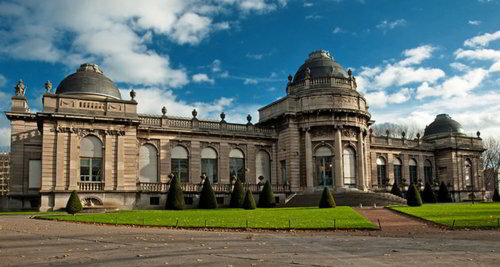 You won't ever get tired of traveling in Liege. 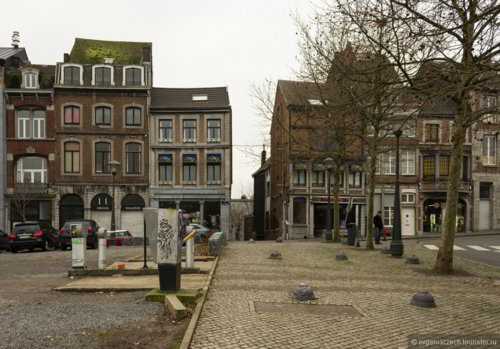 If you have chosen Liege as a destination for your trip then this is definitely a smart variant. You will love visiting all the major sights in the city such as La Cite Miroir, Le Perron, Chapelle Saint-Roch en Voliere, Palacio de Los Principes-Obispo, etc. Before choosing a rental service to hire a coach abroad, it' is essential to make sure the service is worth your trust. Count on the positive reviews left by real clients. Compare the prices and the conditions the service offers with those of other car suppliers in the region. Only after all these points are taken into consideration, you can courageously rely on a particular rental company. 8Rental is one of those rare prominent car rentals, you won't ever regret if relying on. We shall do everything to make your traveling in Liege unforgettable even if there is a huge group of travelers with you. Here you can rent a bus with a driver in Liege at the most profitable rates and be satisfied with your choice. We are offering a large fleet of most diverse vehicles and professional drivers to guarantee your safety and of course, some freebies. You can get in touch with us via various means, such as email, phone, Skype or any social media websites where we are present. If you plan to hire a compact coach only for a couple of dozens of people or perhaps you need to book a wider capacity model to accommodate up to sixty-five travelers, then in both cases, 8Rental will be happy to serve you. 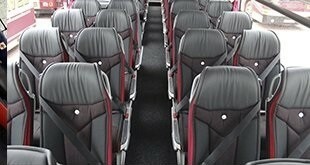 For welcoming around twenty foreigners in Liege you should choose the Mercedes Sprinter coach, which comes together with a professional driver. The vehicle is equipped with air conditioning, central heating, comfy seats, curtains, and other specifications of primary importance. The Mercedes Tourismo is a capacious coach featuring such amenities as amazingly comfortable seats with armrests, a toilet, a minibar, air suspension, air conditioning, climate control, a fridge, audio system, etc. Traveling long distances along Liege's roads in this vehicle is a mere pleasure! If you want, you can also order some extra specs at additional cost. Working with exceptionally skillful drivers, 8Rental can courageously provide a safety guarantee. All of them have valid driving licenses and years of experience in the field of passengers' transportation. Dealing with them, you will feel safe for your entire group of foreign guests. Besides being skillful and professional, our chauffeurs can speak English, French, German, Italian, Russian and several other languages. Choose an appropriate driver in your quote to make your communication with him possible! 8Rental is online any time of the day to receive your orders and proceed them. 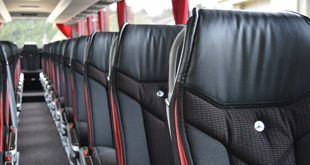 Hence, it's advisable to hire a chauffeured coach in Liege beforehand so that your group of foreigners will be met right at the airport or railway station. As far as you are interested in the freebies, we are glad to inform you the fuel and insurance are already included in the offer. Just the same way, all fees, and taxes will be under our responsibility. All the costs set by 8Rental are sensible and our permanent clients are provided with impressive discounts quite often. Become one of them by booking a chauffeured vehicle from 8Rental.